Steven (Chicagoland, United States) on 19 October 2016 in Abstract & Conceptual and Portfolio. 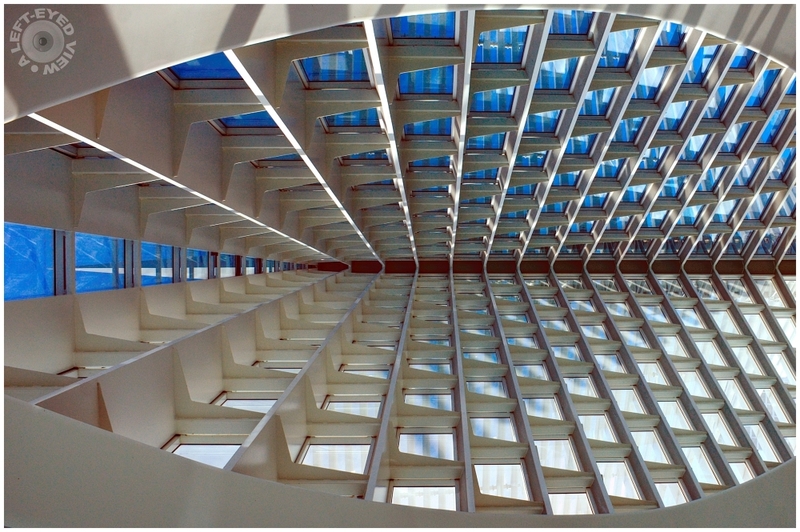 View of the interior glass ceiling in the main exhibition space of the Milwaukee Art Museum. The Milwaukee Art Museum (MAM) gained international recognition with the construction of the white concrete Quadracci Pavilion, designed by Santiago Calatrava (his first completed project in the United States), which opened on May 4, 2001. Photo captured on October 30, 2010. Quel graphisme et effet ce bleu ces alvéoles superbe compo. Bel effet, c'est très beau. Beautiful graphics, well seen ! Very graphic with a superb light .Beautiful framing ! Un point de vue original et esthétique: c'est splendide! An original and aesthetic point of view: it is splendid! Beautiful idea and composition. I lik the frame. A fine capture of the glass ceiling. Impressive image. That is an impressive abstract..... wonderful graphics, color and detail. Outstanding capture! The angle is awesome. A terrific shot of the geometric designs. More terrific graphics! Well done! I love this kind of photos.